This week you will take risks. After questioning yourself, it's time now you set a target and believed in it! You are feeling irritated. You doubt yourself, your abilities and those of people around you. This won't make the atmosphere at home or at work any better. You need to go out and unwind... it is very efficient. This week you will devote your time to collaboration with foreign countries. Don't be afraid to spend more money if the economic situation is good! 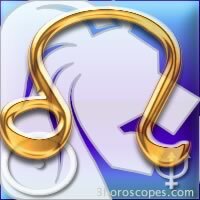 Mercury will encourage you to reflect, you've got a lot on your mind and you look sulky and secretive. You should talk about it with somebody from your family circle. Mercury will make you think a lot but your thoughts are crossed by dark and obsessional ideas. As soon as you can... Talk about it with somebody you know well. Leo : do you know your zodiac sign ?